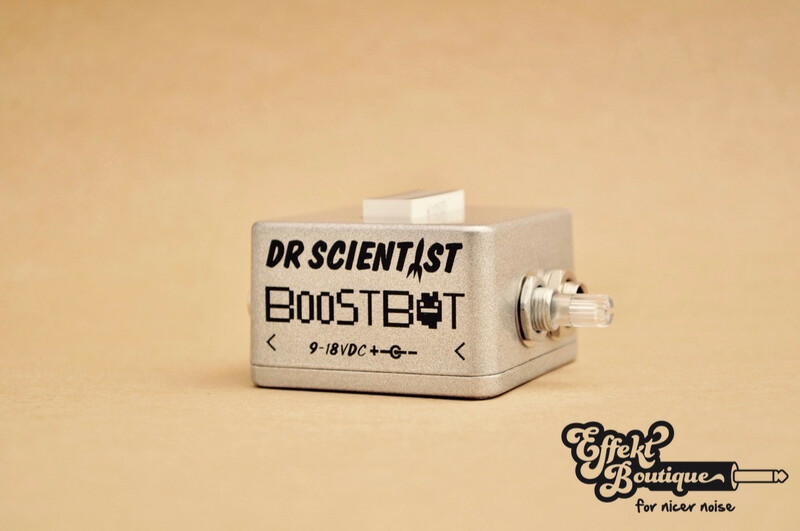 The BoostBot is an always on buffer/booster/level meter that features the clean and clear sounding boost circuit from our Reverberator pedal. 20db of clean Boost. 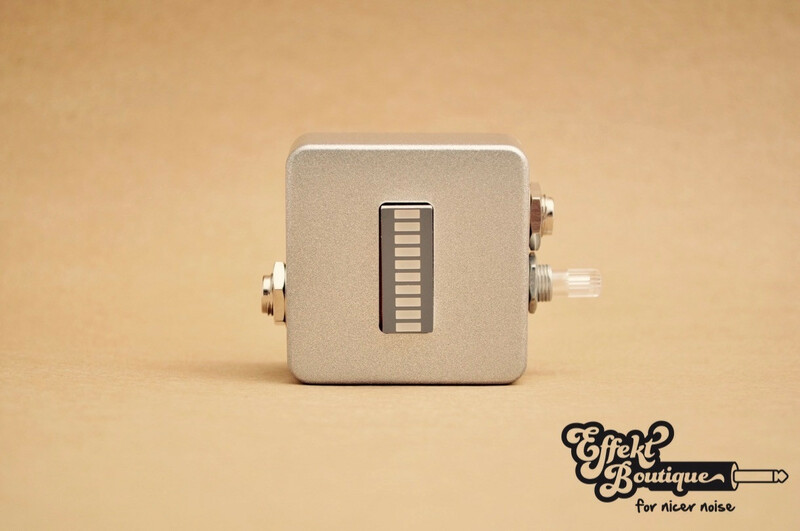 The BoostBot is an always on buffer/booster/level meter that features the clean and clear sounding boost circuit from our Reverberator pedal. The light-up knob on the side of the box controls the boost amount, turn it all the way down to use as a buffer with no gain, turn all the way up for around 20dB of clean gain. The real time signal level is displayed on a vintage bar graph LED which come in a handful of different colours. This tiny box that looks really neat with the level meter, a must have for all pedal boards!